The following recordings recount heartache in unassuming yet powerful ways. Although deeply personal, they also conveyed the full depth of despair of a nation grappling with nearly a decade of economic depression. Before Woody Guthrie, folk music mostly concerned itself with universal themes or the recounting of old stories or historical events. Considering that the music was used as a means of oral history by poor, rural and often illiterate communities, that is not surprising. 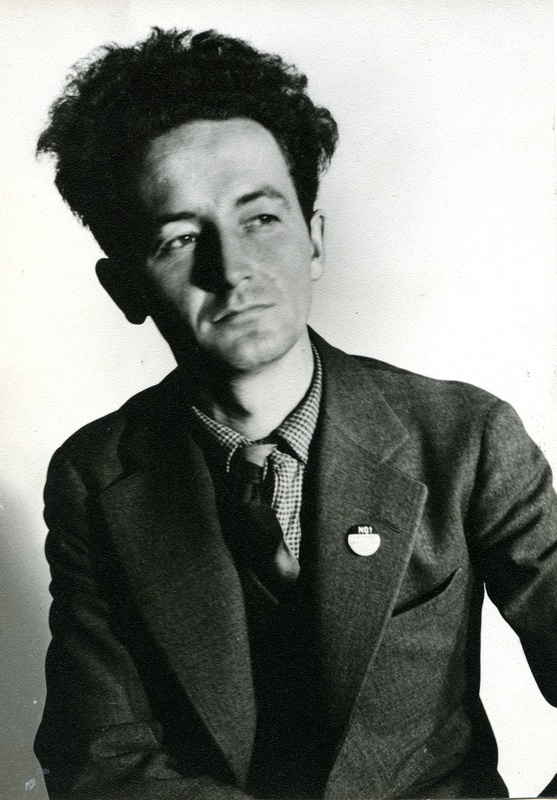 With the advent of recorded music and the increasing literacy and urbanization of the nation, Guthrie saw the potential of this simple, straight-forward music to speak to a wider audience and tell more personal, more immediate stories. His voice wasn’t polished, but it was steady and his slow, Oklahoma drawl added credence to his everyman tales. His writing was superb – from his witty, personable lyrics to his knack for simple, catchy melodies. Guthrie’s own career was cut short by Huntington’s disease; he stopped recording in 1956 and finally succumbed to the illness in 1967 at the age of 55. But his legacy looms large and he has been an influence on every folk singer since. Guthrie used his music to draw attention to issues of importance to him. In 1940, that issue was the plight of farmers affected by the Dust Bowl disaster that had devastated crops throughout the Great Plains. 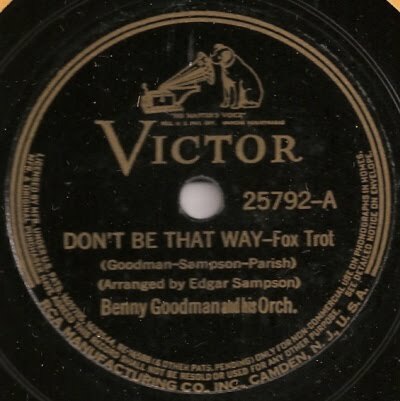 Guthrie recorded 15 songs for Victor, 12 of which were released both as singles and as part of two collected “albums” of three records (six songs) each: Dust Bowl Ballads, Volume 1 and Volume 2. 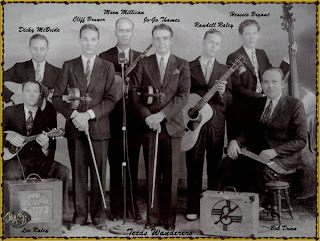 Another great recording from Dust Bowl Ballads is “Dusty Old Dust” from Volume 2. A more traditional, straightforward song, it simply and directly recounts how the dust storms “Dusted us over and covered us under.” The song’s chorus, “So long, it’s been good to know you,” carries a dual meaning as people both fled from the dust storms and saw them as the end of the world. 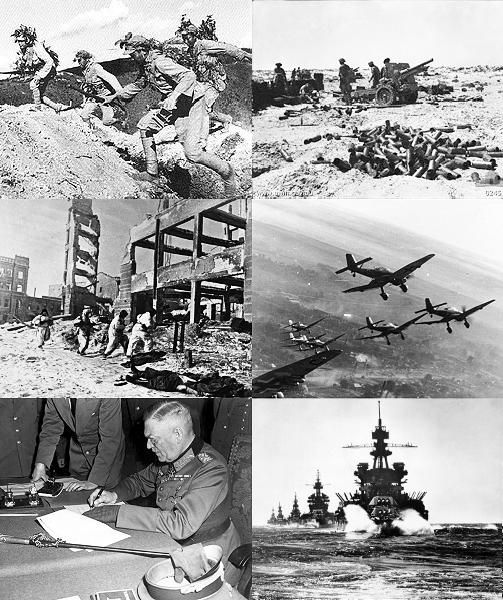 On December 7, 1940, the Japanese attacked the U.S. naval base at Pearl Harbor, Hawaii, thus “waking the sleeping giant” and drawing the United States into World War II. Although those bombs at Pearl Harbor would be the only ones to fall on American soil during the conflict, the nation was shaken to its core. In the space of a few short years, everything would change, and those changes were reflected in the music. Like the forgotten artists of the 1920s, a lot of 1930s artists would be left behind. 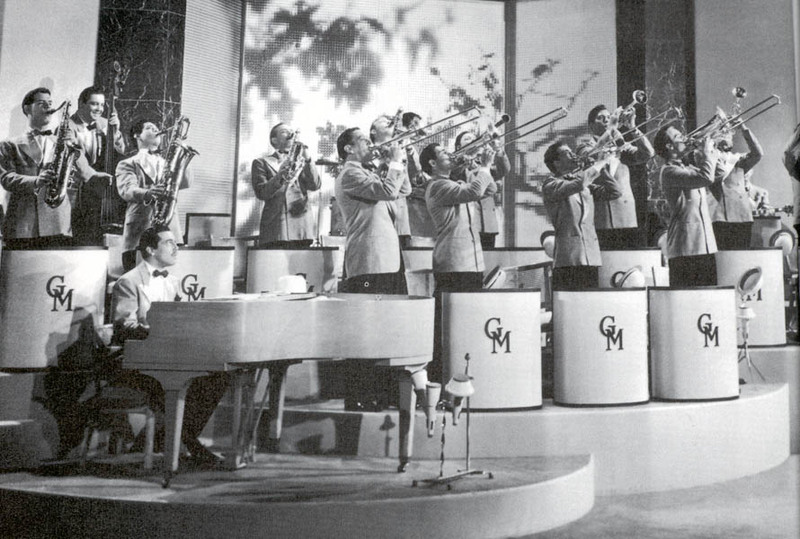 The swing bands would soar to success, becoming the soundtrack of the war years. By the end of the decade, though, the changes to society and a resurgent economy would make large orchestras a thing of the past, and new sounds would be given a chance to flourish. Prior to the war, the Germans had invented another recording format: magnetic tape. 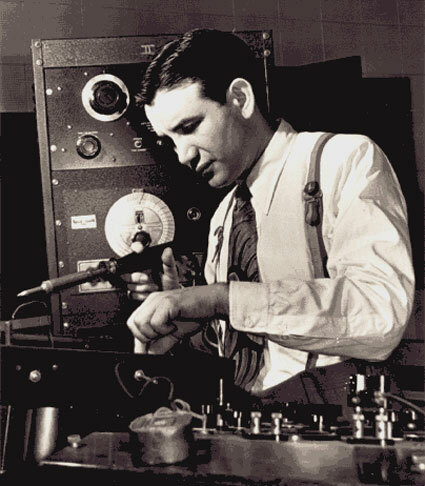 After Germany was defeated, Americans developed their own uses for the technology, using it first for recording and eventually for consumer playback media. 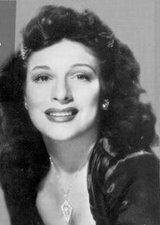 Technology wasn’t the only cause of changes to American music during the war years, though; society was changing as well. By the end of the war, industrialization had caused a massive population shift from rural to urban areas, and along with this new life came a desire for new sounds, laying the groundwork for electric blues, honky tonk, and rock and roll. One of the biggest influences on American music during this time, though, was caused not by the war or shifting demographics, but by a disagreement over royalties. In August 1942, a recording ban was put in place by the American Federation of Musicians (AFM), preventing many from recording until the strike ended in November 1944. 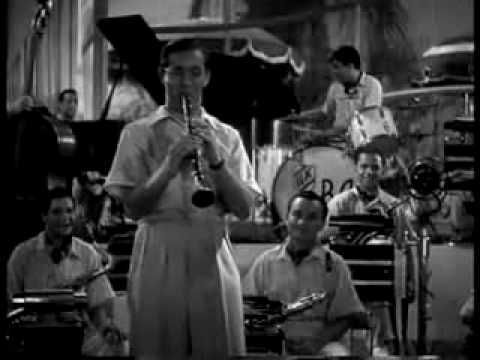 While musicians could still play live shows or radio, the ban created a big gap both in the historical record and in the public consciousness. 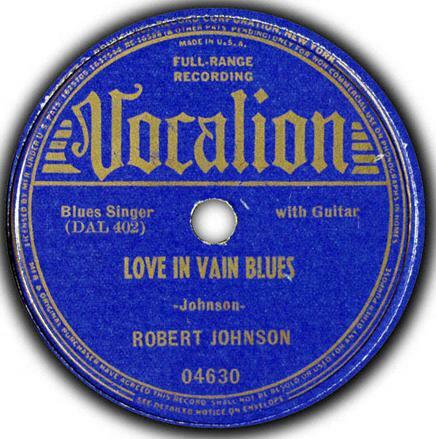 Because the ban applied only to instrumentalists, not vocalists, many record companies began recording vocal-only music as a way to skirt the issue. Whereas vocalists had always been an afterthought, this had the effect of making them the center of attention. 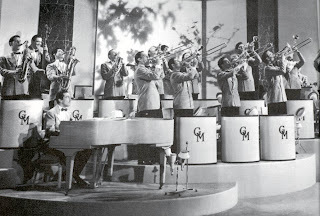 By the time the ban was lifted, the paradigm had changed and big bands, while still popular for a while, would never again dominate the spotlight. 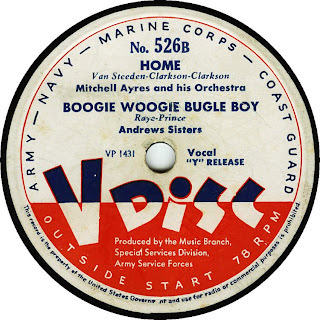 In October 1943, the AFM began allowing instrumentalists to record for special “V-discs,” which were only distributed to military personnel, not the general public. However, many instrumentalists were not captured on record at all during the strike, and so we have no window into the evolutionary process of their music. 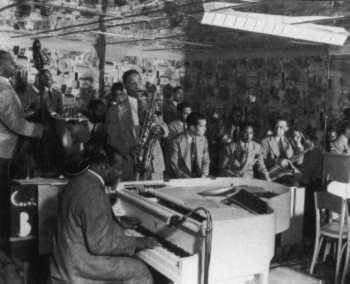 For example, after the ban ended, a new style of jazz called “bebop” would seemingly come out of nowhere. It had actually been a very organic extension of some trends in small-band swing music, but none of that process was ever recorded. Like everything else in post-war America, bebop was a sign that nothing would ever be the same. As the decade drew to an end, 1939 was a light year for the blues in general, but the following two classics are heavy-hitters: a haunting, posthumous Delta ballad and a riveting folk-blues debut. 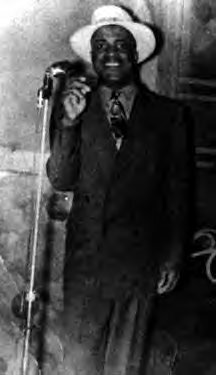 John Lomax discovered Huddie Ledbetter while the latter was serving a sentence for attempted murder at the Angola Prison Farm in Louisiana. 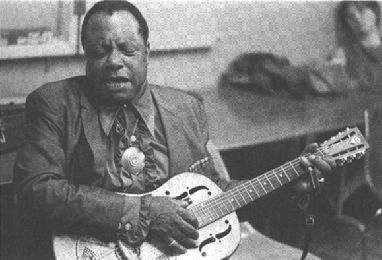 Ledbetter, who went by the nickname Lead Belly, was a jewel of a find, a gifted singer and twelve-string guitarist with a diverse repertoire of folk and blues songs, many of his own composition. 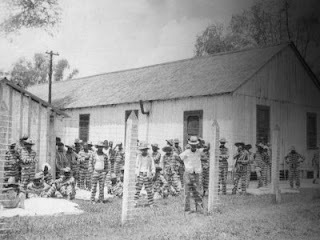 Once out of prison, he began a long recording career that established him as one of the most influential folk singers in history. “Gallis Pole” is one of his best and most influential early recordings, and would later inspire Led Zeppelin’s “Gallows Pole.” It is a good demonstration of Lead Belly’s ability to interweave spoken and sung parts and evolve lyrical and melodic themes throughout the course of a song. The story itself is fascinating (a jailed man tries to raise enough money to bribe his way out of being executed), and the performance is mesmerizing: a fast, ever-changing rhythm on guitar married to increasingly frantic vocals. 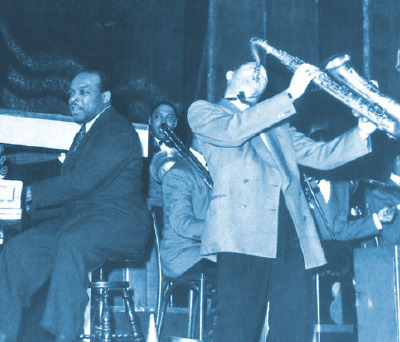 In 1939, big band jazz was making its mark on the American musical landscape, but jazz had not decided to sit still. Out of the limelight, jazz artists were continuing to push boundaries, as they had done from the beginning. The following tracks show the result of some of that innovation and the hints of things to come. 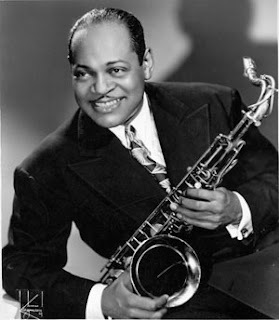 Recorded as an afterthought, “Body and Soul” is a sublime masterpiece and the single greatest accomplishment of Coleman Hawkins’ distinguished career. 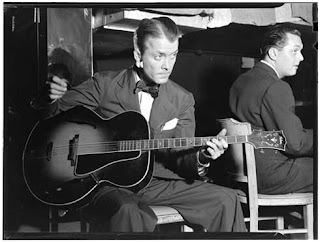 The song was already a pop standard, and remains so, but Hawkins’ performance is far from definitive, having less to do with the song itself than with the style and mood of his playing. With minimal accompaniment, Hawkins’ tenor saxophone paints a picture as revolutionary for the jazz world as Louis Armstrong’s groundbreaking work more than a decade prior. Hawkins follows the harmonic structure of the song perfectly, so that one could easily imagine the lyrics being sung along, but he improvises the melody so much that it is hardly recognizable as the same song. This would become the norm in modern jazz, but it was all but unheard of in 1939. And yet, unlike the harsh, confused reaction that bebop would elicit a few years later, Hawkins’ style is so endearing that this approach is instantly accessible. His soft tone is comforting and his rich improvisation is conducted with a gentle grace so smooth that a listener might be persuaded to think that this was the original melody all along. Even towards the end, when the saxophone squeaks for dramatic effect, it is spellbinding rather than jarring. It is a stunning performance, one that really wouldn’t be matched again until the “cool jazz” movement a decade later. 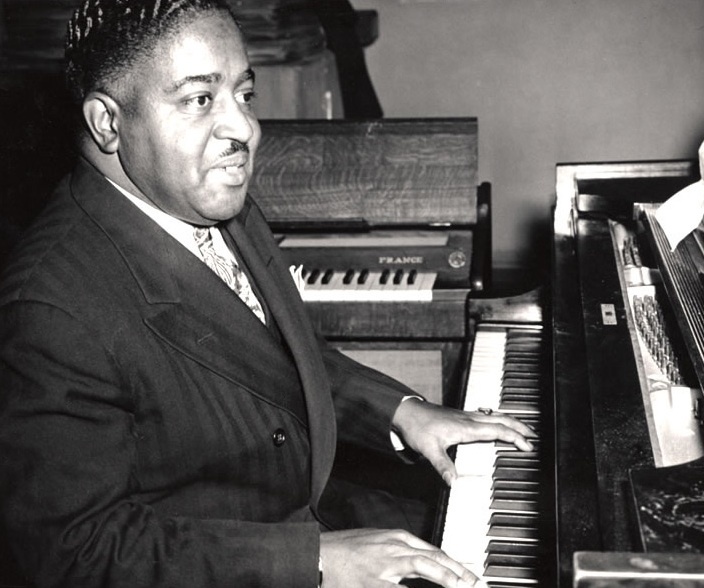 William Henry Joseph Bonaparte Bertholoft Smith, nicknamed “The Lion” because of his bravery while serving in World War I, is one of the giants of the stride piano style, along with James P. Johnson and Fats Waller. 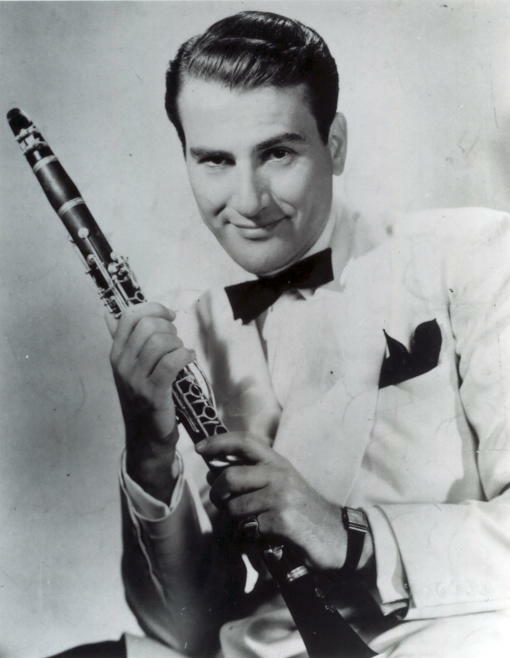 His 1939 solo recordings, and particularly “Echoes of Spring,” are considered the high point of his career. “Echoes” is a remarkably light recording, so pleasant that it is easy – at least for a while – to overlook just how talented and sophisticated a pianist Smith was. With a steady, meandering bass line from his left hand, his right hand produces a lovely, tinkling melody on the high notes. About a minute and a half into the song, his right hand gets more adventurous and opens up new perspectives on that melody. Smith even throws in occasional booming, discordant notes that are completely unexpected and yet do nothing to diminish the song’s loveliness. “Tea for Two” is Art Tatum’s most enduring recording, a work that manages to dazzle with its display of technical prowess while simultaneously retaining the charm of a lovely ballad. Like Coleman Hawkins’ “Body and Soul,” this record finds the lead improvising greatly, but where Hawkins created an entirely new world out of an old song, Tatum starts with the original melody, drives it into new possibilities with flashes of virtuosity, and then brings it ever so gently back to familiar territory again. In doing so, he creates a perfect framework for his unique talents, an arena where he can show off his abilities – things other pianists just can’t do – while staying grounded and accessible to an audience looking for a more gut-level connection. 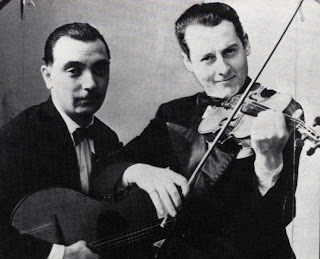 For one example, listen to the final half-minute, where a fast, free-form improvisation slows into a melodic and sentimental conclusion, while never quite losing its sense of spontaneity and wonder – ultimately resembling, but not quite matching, the original melody. 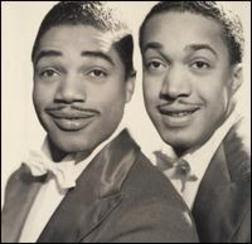 “Summertime,” with music by George Gershwin and lyrics by DuBose Heyward and Ira Gershwin, is one of American music’s most enduring jazz and pop standards, and there are many top-notch renditions of it to chose from. One of the best is undeniably this instrumental Sidney Bechet recording from 1939. 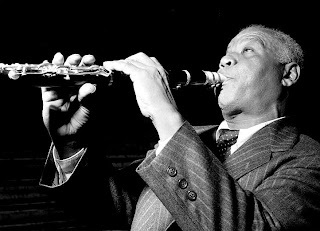 Bechet seizes upon the song’s underlying bittersweet tone and brings it to the surface with a soprano sax solo of exquisite depth. He shows great restraint, using the entire length of a 12" single to explore the song in greater detail while slowly building tension throughout. Even when that tension finally spills over into a wailing release, Bechet plays it close to the chest, muffling the volume and turning the emotion back in on itself. The simple, spare accompaniment makes a wonderful companion to Bechet’s playing. 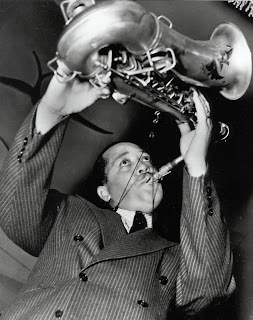 Big Sid Catlett’s drums and John Williams’ bass measure a steady, plodding beat, with the drums becoming noticeably more forceful at times in parallel with Bechet’s playing. Meanwhile, Teddy Bunn’s guitar quietly picks out a bluesy countermelody that further fuels the song’s emotional fire. In all, it is a deeply intimate and beautiful performance and one of the best recordings of Bechet’s distinguished career. Although Holiday’s voice is lovely as ever, that loveliness stands in stark contrast to the evil she sings about, and the impact of this reveals the underlying frustration and anger of the entire African American community. Holiday took a lot of criticism for performing such a controversial song, but a more powerful statement against this injustice was never made. Thank you to fixbutte for introducing me to these recordings! The following selections show swing music blossoming in terms of both style and substance. These records are among the best of their era for balancing mass commercial appeal and artistic integrity. In other words, they are really, really good. 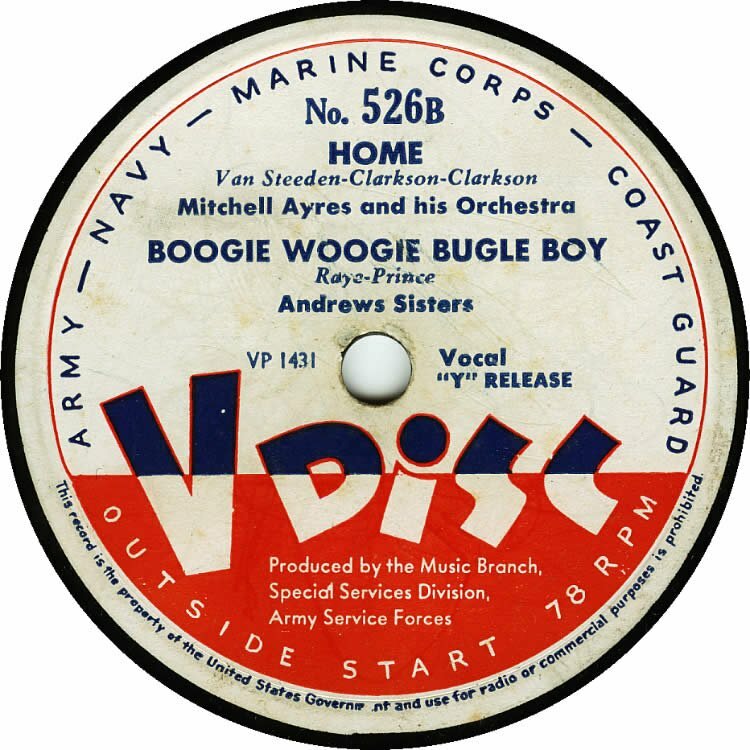 Glenn Miller had a bigger hit with it in 1940 (Bluebird B-10612), but co-author Erskine Hawkins’ original is the definitive recording of this classic. The song gets its title from the nickname of a jazz club near the band’s hometown of Birmingham, Alabama, but this record transcends any tangible location to create a magical place all its own. 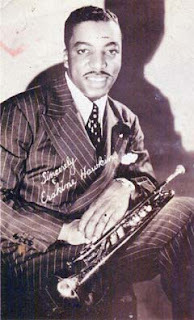 Although Hawkins was a gifted trumpeter (often called “the 20th Century Gabriel”), it was fellow trumpeter Wilbur “Dud” Bascomb that took the memorable solo on this record. An audible wave from Bascomb introduces you to “Tuxedo Junction,” and it’s such a welcoming place, you’ll want to stay awhile. After a relaxed introduction to the band and a hearty hello from Julian Dash on tenor sax, Bascomb returns to show you around. 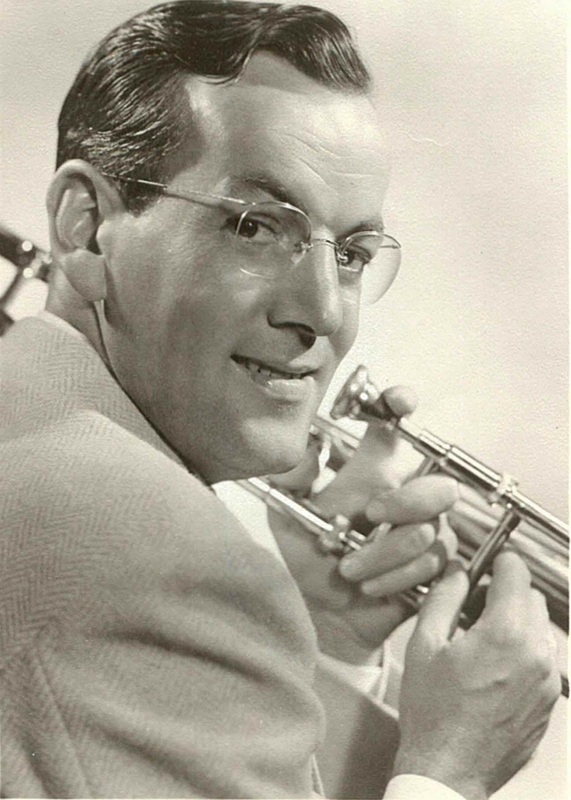 His trumpet solo is both rousing and endearing, filled with genuine warmth and joy. As it ends, one cannot help but feel that the song has passed its high point, and yet Haywood Henry’s clarinet soon proves that notion wrong, enthusiastically showing the listener another side of “Tuxedo Junction” – one that is every bit as captivating. Bascomb returns at the end to wind things down and say goodbye. Trust me, you will want to visit again. Don’t let the overall smoothness of Charlie Barnet’s “Cherokee” fool you: this band is dangerous. They are razor sharp and full of attitude, and while you may feel enchanted by the irresistible melody, a closer listen reveals that they never stop hitting you. Listen to the way the saxophones strike with short, staccato bursts and the horns repeatedly give a wah-wah whine during the opening solo. The same brash assertiveness continues throughout, with every smooth main melody backed up with saucy attitude from elsewhere in the band. Among the smoother parts, Barnet himself is particularly alluring on tenor sax, with a polished playfulness that touches the line of squeaking dissonance without ever crossing it. This record is a true classic of the genre and an indispensible part of any serious swing music fan’s collection. 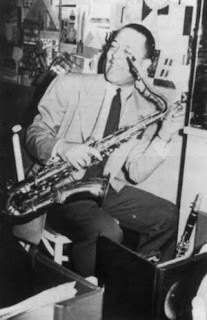 “Woodchopper’s Ball” was Woody Herman’s triumph, a flawlessly executed record that sizzles excitingly throughout while going down soothingly smooth. The uptempo blues is almost a head arrangement built around a simple riff, but a high degree of coordination between the instruments yields an extra-polished finish. The solos are gems and each is given a good deal of time to develop: clarinet, trombone, tenor sax, trumpet, and finally a duet between piano and bass. 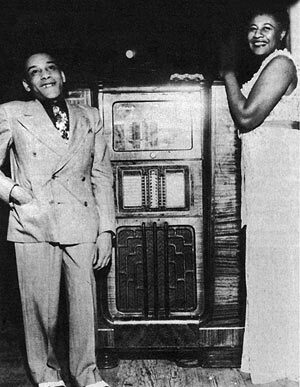 The record built up a following slowly, but eventually became Herman’s biggest hit and – deservedly – vaulted him into superstar status. 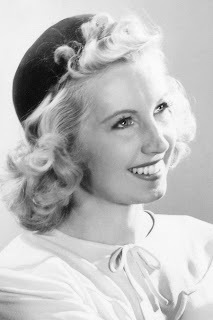 “And the Angels Sing” was the biggest hit of Martha Tilton’s career and another huge hit for Goodman. 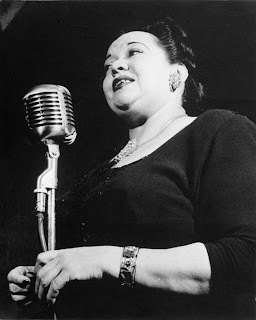 Tilton’s plush voice is heavenly, to be sure, and benefits from terrific lyrics by Johnny Mercer: “You smile and the angels sing / And though it’s just a gentle murmur at the start / We kiss and the angels sing / And leave their music ringing in my heart.” If you listen closely as she sings, “You smile,” you can actually hear her smile in a wonderful bit of showmanship. 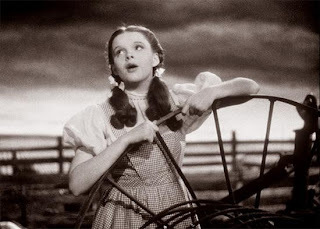 But Tilton’s singing is only half the story. The orchestra itself provides tight accompaniment throughout the first half, and once the vocals end, Ziggy Elman (who wrote the music) bursts free with a tremendous trumpet solo. It begins with a fast, Yiddish-inspired dance interlude over a driving march beat, and then slows suddenly to end as a soaring, inspiring jazz solo as the full orchestra sweeps back in behind him. As heavenly as Tilton was, it is Elman’s trumpet at the end that truly represents the angels singing.